Monty Widenius, the co-creator of the MySQL database, became a multimillionaire when MySQL was sold to Sun Microsystems in 2008. But Monty subsequently left MySQL just before Sun was acquired by Oracle, and hired many of the original developers to work on his fork, MariaDB. 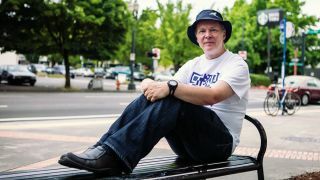 We met up with him in Portland to discover why the free software philosophy matters, what went wrong at Sun and why the history of MySQL contains more drama and intrigue than season one of Dallas. Linux Format: We've always found databases the hardest subject to engage with. Monty Widenius: I know, I had exactly the same thing the first time I engaged with databases. I hated it. LXF: What changed? And how has it kept your interest for so long? MW: It actually started in '81, when I was employed by a company, and it used a version of BASIC that had a way that you could access data. They asked me to move these to TRS-80 with TRS-80 BASIC, and you had no database whatsoever, and nothing to store data. This was just before I went to college, and I was wondering one day how to store data on a disc so that you can retrieve it. Then I came up with a way to do that, which I later in college found out to be called hashing, but I didn't know that. And, actually, we based the whole payment system program on that. LXF: So you were teaching yourself? MW: Yeah, everything. When I went to college I did study computer science, and basically I learned one or two algorithms; then I learned what I'd found out myself was called hashing. But I mostly researched it. LXF: When did the free software philosophy become part of it? MW: When I went to UNIX - that was in '84, I think. In '85 there were cruises between Sweden and Finland where Minix was announced, and I was on one of these cruises together with David Axmark, the other founder of MySQL. We had already started to use Emacs and looked at GCC, then we kind of got more involved and started to use it more and more. I started to work with companies who were using Solaris. Finding all the Solaris shells was quite awkward. So we replaced all of that with Bash and GCC and everything else. That was kind of when I got really involved using open source, and because we started to go more and more to open source conferences, almost once a year, and we wanted to give something back, me and David. However, we never had something that we thought would be useful enough so that we'd get lots of users, and we also didn't think that we'd be able to support it. Just giving out software that you can't support, that would just be adding to the pile that wouldn't be useful, and there are lots of companies that do that; and so we were searching for something that we could work on full-time, and afford to work on full-time. So, when I created MySQL in '94, on top of the old project that was basically still rubbish, we noticed that it could be useful for us. Then we released it; then it took off. LXF: Was that the first time you recognised that an open source licence would be beneficial for the project? MW: We were a consulting firm, and our main thought was that the decision for doing the release was that we would not lose money compared to what we were doing by releasing this. If someone takes the software, it's still big and complex, and they'd hire us as consultants anyway. So really, we wouldn't lose money.